Keeping track of any building project is a day’s work in itself - and that’s before you weigh in the amount of competition out there. In order to win contracts, your building business needs to be able to handle all of the masses of data generated skillfully and efficiently - not to mention quickly. And that’s where Ensign’s Builder Software comes in. We have several building software programs which stand to ease the strain of churning out data, creating estimates and making sure you don't go over budget. First and foremost, you want to know the bottom line - and you want to know your costings, margins and profits. This all usually takes a lot of time - and it’s not just a one time thing either. You need to keep on top of your budget and make sure everything goes to plan - and you need to know ASAP if that’s not happening. With Ensign’s QuickCost software, your budget works for you. With real time updates of project costs, you can track everything the second it happens. Plus, you’ll receive real-time alerts if and when you go over budget. Then, once your builder project is finished, you can quickly see which jobs have been profitable and which have not and most importantly why! Your data is also saved in the system for future reference - so you can use it to inform your next building creation project. Any builder worth his cement knows the key to getting a building project right first time comes down to the takeoff provided. And, there’s a huge margin of error to be had with a printed piece of paper, scale rulers and calculators. It’s also very time consuming - time which could be better spent on building. Ensign’s On Screen Takeoff builder software will prevent those same mistakes from ever happening, with all measurements, parts and materials needed being automatically taken from an uploaded takeoff. You’ll also receive a list of what you need, and the quantities required of each. 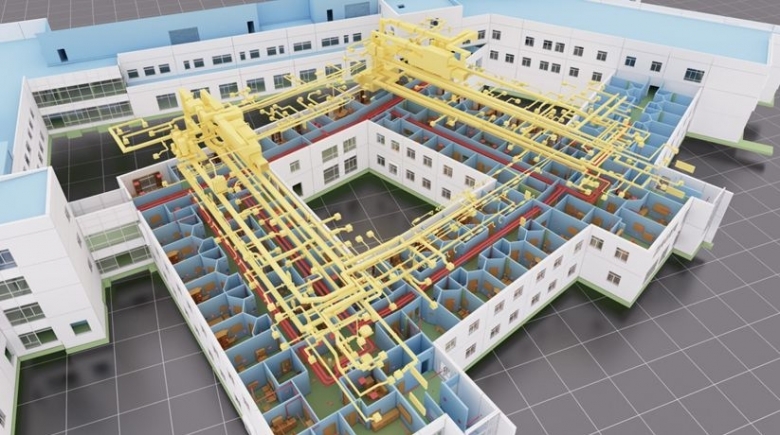 Plus, the takeoff system is so intuitive to use that within minutes you can be measuring floor areas, walls, doors, windows and so much more just with a few clicks of the mouse. If that is not enough it’s easy to remove unwanted information on a drawing in just a single mouse click helping to make you takeoff even easier. Estimations take time - and that’s even more time you may not have. Luckily, with Ensign’s Estimation software (fully integrated without other Software programs) allows you to sit back, click a few buttons - and be the early competitor who catches the client with your quickly produced estimation. Our software can link to databases of materials and more - you just choose what you want for your job, or add it automatically with our On Screen Takeoff Building Software - and you almost have an estimate. Add in your other costings - prelims, prime costs and anything else you need - and watch as the software automatically estimates your costs, margins and profits. Builders know that time is money, and time spent quantity surveying, while necessary, is also a long process. With Ensign’s Quantity Surveying Software for builders, you get a software program which gets the important stuff done in a fraction of the time. When integrated with our Estimating software, you get all the information you need instantly and right at your fingertips - jobs and section values, rate schedules and all the other information you need. And if not, you can add the extra information you're lacking - equipment hire, day costs and variations, to name but a few. All that’s left to do is export it - and with the On Screen Takeoff building software, you can add the takeoff right there too. See all the variations, altered costs and more - and present them directly to the client, along with your exported application for payment and all the proof to get it paid.